A taste of the good life! This bite-size collection showcases 20 special recipes, all with photographs, that will inspire food lovers to take the party outside. 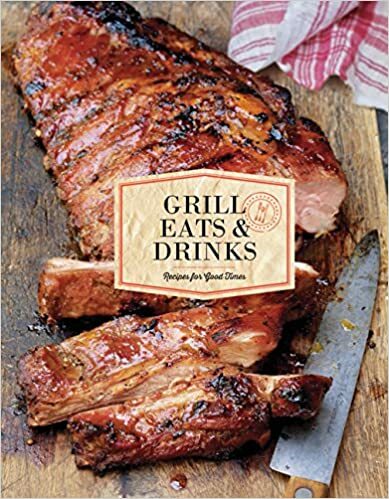 Selected from some of Chronicle Books' best-loved cookbooks, here are easy-peasy drinks (alcoholic and nonalcoholic), quick appetizers, simple salads and sides, and great-for-the-grill main dishes. Whether it's the South Seas Sangria, Corn with Chipotle Butter, or the Honey-Glazed Spareribs that beckon, everything tastes better out on the patio. And grilling will be all the more relaxing for the cook who has this just-right repertoire at hand.